I was recently given the opportunity to review the wonderful CSN Stores! And one of their many great products from their over 200 stores. I was so excited that they chose me to do this. Who doesn't love a gift for no special occasion at all? 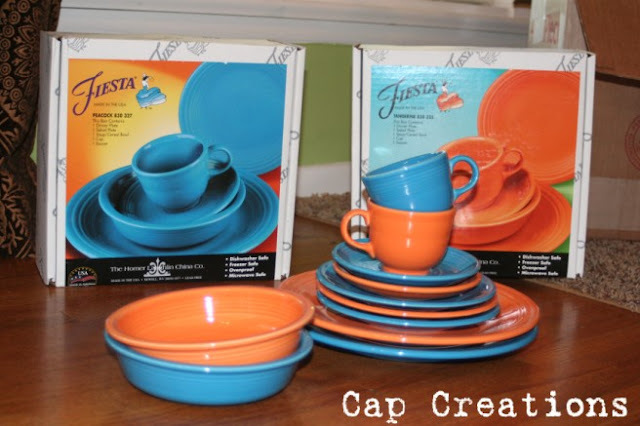 For my review I chose none other than Fiesta Dinnerware. In Peacock and Tangerine! 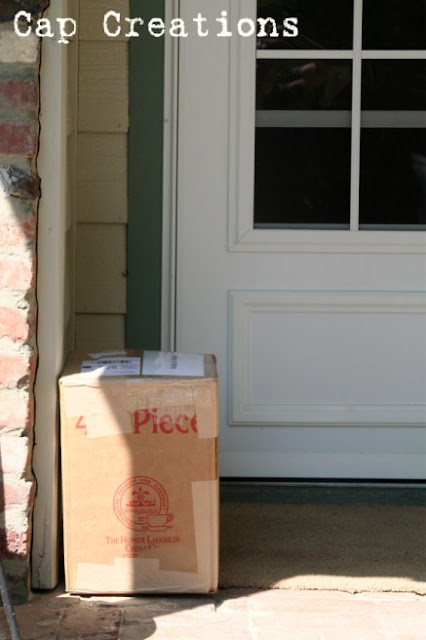 They arrived very quickly and safely. I couldn't wait to get them out! Are they beautiful or what? Just look at those yummy colors! CSN Stores service was top notch! Seriously! They confirmed my order via email, they notifed me when my order shipped, which was very quickly within 3 days. 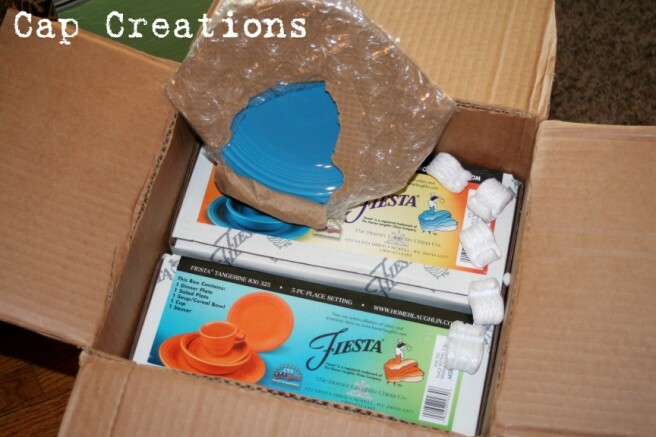 And my order arrived quickly too, I had my dishes in 4 days of shipping! 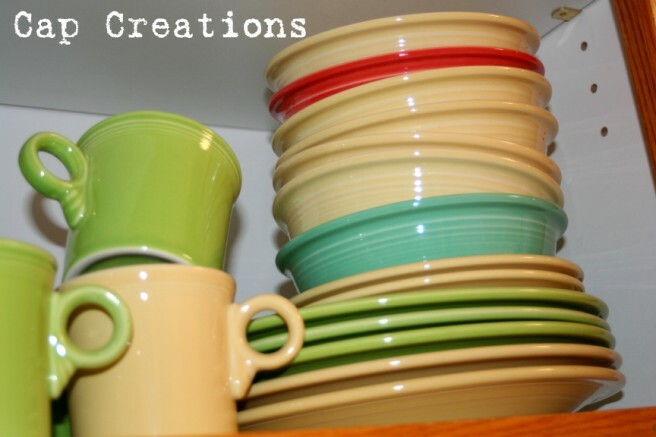 And the dishes, of course are great too. Very good quality and well made. Fiesta makes tons of dishware from glasses to silverware and many accessories to match. 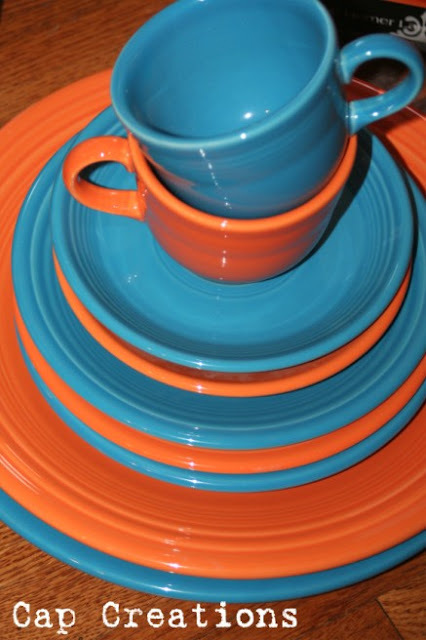 But what I love most about Fiesta is their many fun and bright colors! Now my new lovely dishes get to hang with these old lovely dishes! One big happy family! If you haven't been over to CSN Stores I suggest you go check them out. I'm talking tons of stuff over there! Thank you CSN Stores! Nice and bright! They are very fun! Boy, I wish we had that here!